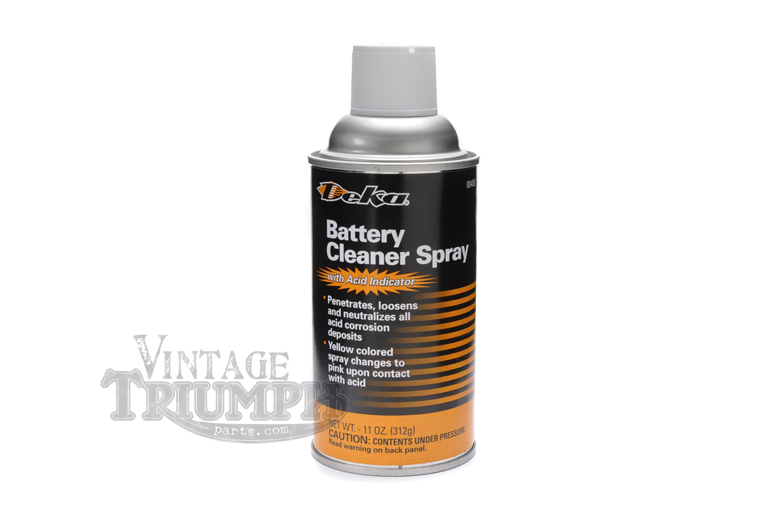 This spray neutralizes battery acid. It turns pink with contact to battery acid. It breaks down deposits and reverses the corrosion build up. Very handy if you are a collector and have several batteries to maintain.